Data analysis can provide businesses with key information to make improvements and mitigate risk, and it may even be able to help combat Medicare and Medicaid fraud. Data analysis can provide businesses with key information to make improvements and mitigate risk, and it may even be able to help combat Medicare and Medicaid fraud. The University of Cincinnati recently released a report that analyzed the effect of fraud-fighting strategies, and the results make it clear that data analysis paying close attention to big data could be the key to preventing major losses. The health care field is not alone when it comes to the threat of fraud, as this is a risk businesses across virtually every industry face as well. PricewaterhouseCoopers’ 2014 Global Economic Crime Survey revealed that U.S. companies appear to be targeted more often than their global counterparts, as 45 percent of surveyed businesses in America dealt with fraud between 2012 and 2013, while only 37 percent had these issues worldwide. Not only should American companies be on higher alert, but they will want to focus on cyber threats, as the crime survey highlighted the fact that 44 percent of U.S. businesses affected by fraud in 2013 were dealing with cybercrime. This is compared to only 23 percent on a global scale. 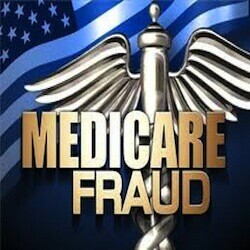 For companies that work with Medicare and Medicaid, addressing the risk of fraud is especially pertinent. The U.S. Department of Justice reports that health care fraud can lead to losses in the millions each year, and that is not including the cost of recovering from such detrimental events. Employing analysis tools to prevent and fight back against fraud may be an effective method for those in the health care industry to consider. The technology behind data analysis grows and changes constantly, and the UC research found that recent developments in business analytics are making it easier for experts to spot potential issues with Medicare and Medicaid claims before they can escalate. This has the potential to save billions of dollars, as Czarnecki found that there was a $7 return for every dollar invested into data analysis prevention between 2009 and 2011.